Only 10 per cent of senior marketers have strong alignment and synergy between functional heads when it comes to ensuring a single customer experience for their brand, new CMO Council research has found. The new study of 245 senior marketers from 16 countries across Asia-Pacific including Japan found only 26 per cent believe their back-office systems and operational structures allow their organisation to live up to brand promises and marketing claims. In addition, just 10 per cent cited strong alignment and synergy among functional heads when it comes to ensuring a seamless experience across all customer touch points and operational areas of the business. The Maximize How You Individualize report was based on research conducted in the third and fourth quarters of 2013 by CMO Council in partnership with SAP. While c-level executives and CMOs are increasingly recognising the value of customer centricity as a competitive advantage, it’s clear many are still struggling with the operational and cultural challenges of both achieving it, as well as measuring the impact of their efforts. The CMO Council noted less than one-quarter of marketers surveyed have calculated how customer experience has directly impacted business performance through lost or gained revenue, retention, defection, detraction or advocacy. Another significant challenge being faced is who should be responsible for leading customer strategy. According to the report, ownership of the customer experience is often distributed across multiple titles and areas of operational responsibility, including the CMO (31 per cent), head of service and support (10 per cent), vice-president or director of customer sales and service (9 per cent), chief operations officer (8 per cent), chief sales officer (6 per cent), and chief experience officer (6 per cent). Sixty-one per cent of marketers believed these individuals lacked the authority and budget to influence and impact CXM. Key factors to achieving a customer-centric culture cited by respondents include CEO mandates, management commitments and employee empowerment driven by real-time market insights, more personalised engagements and higher-value, actionable information and analytics delivered across the organisation. The research also delved into the structure of customer experience strategy and found 25 per cent of respondents had conducted a customer experience management audit across all channels, life stages and operational areas. 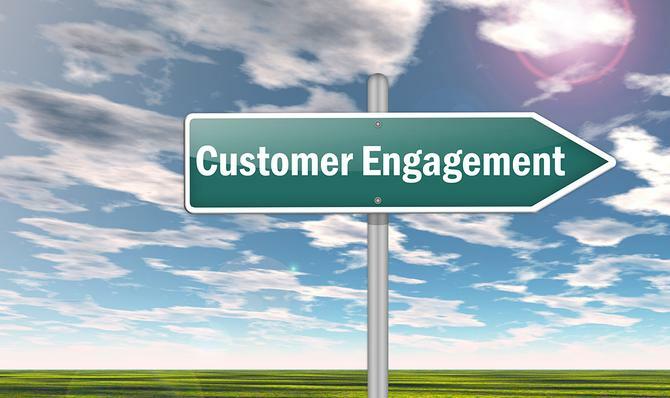 Just over one-third of marketers said they have a formal strategy or program for customer engagement, while 24 per cent claimed to have a comprehensive view of engagements and interactions across all stages of the customer lifecycle. Eleven per cent claimed to be highly satisfied with their ability to listen and respond to the needs of the customer. In addition to the online survey, the CMO Council and SAP conducted in-depth interviews with more than 160 senior marketers in Hong Kong, Malaysia, Australia, India, South Korea and Singapore and found a strong desire for the chief marketing officer to be the primary champion and ombudsman for customer experience and should be tasked with tracking satisfaction, loyalty, reputation and word-of-mouth.